Tiramisu is a favorite dessert of mine. It therefore natural for me to be intrigued by the latte version. 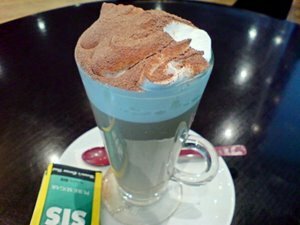 It's basically your standard latte toppde with whipped cream and then, on top of that, a rather generous amount of cocoa powder. So is it good? Yes it is. I took this photo at past 5 pm today. 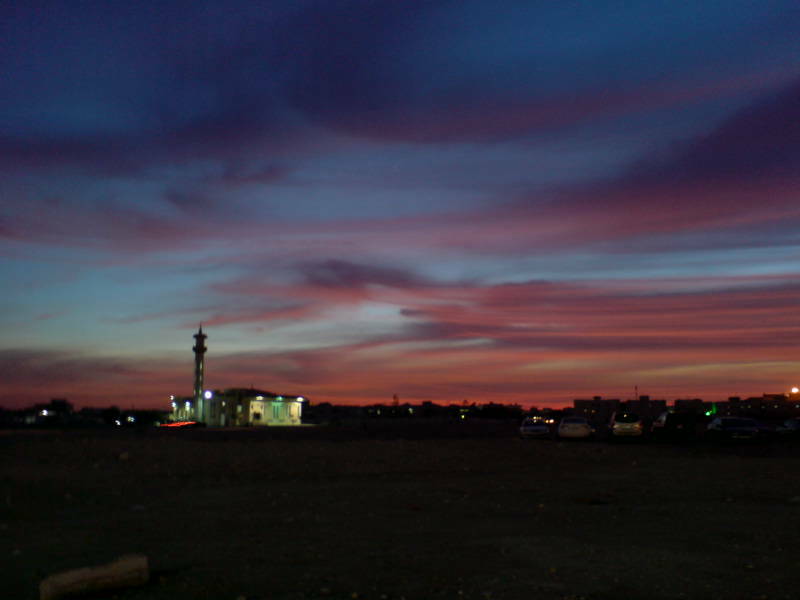 I gotta tell you, that has got to be the most beautiful sunset sky I have ever seen within my four years here in Doha. For most of the year, Doha sky is simply clear blue, but during the cold months of winter, interesting cloud formations can be seen and they are best viewed during sunsets and sunrises. This, in particular, caught my attention because I have rarely seen the sky so red. I mean, usually there's orange, red orange and sometime purple. Oh . . . . by the way, Happy New Year everyone!! !